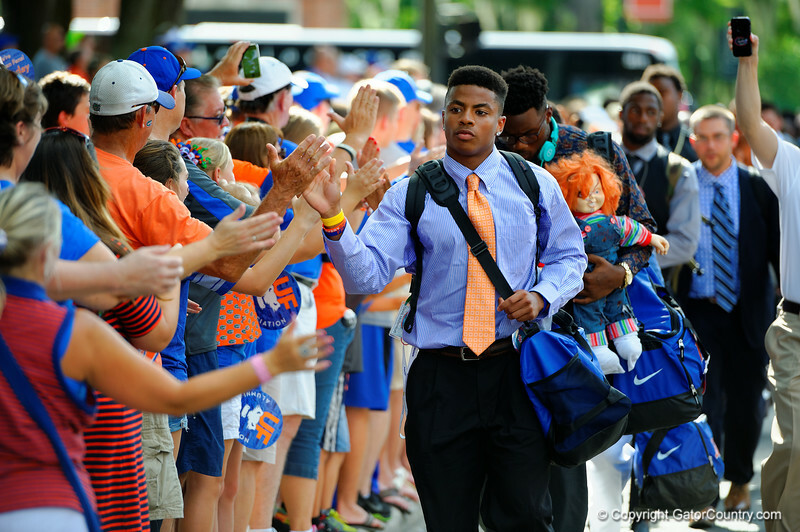 Florida Gators defensive back Vernon Hargreaves, III and the Florida Gators march into Ben Hill Griffin Stadium greeting the Florida fans before the start of the game versus the Idaho Vandals. Florida Gators vs Idaho Vandals. August 30th, 2014. Gator Country photo by David Bowie.